ACTIVE INGREDIENTS: Bryonia 3X, 12X, Ruta graveolens 3X, 12X, Bellis perennis 6X, Argentum metallicum 30X. 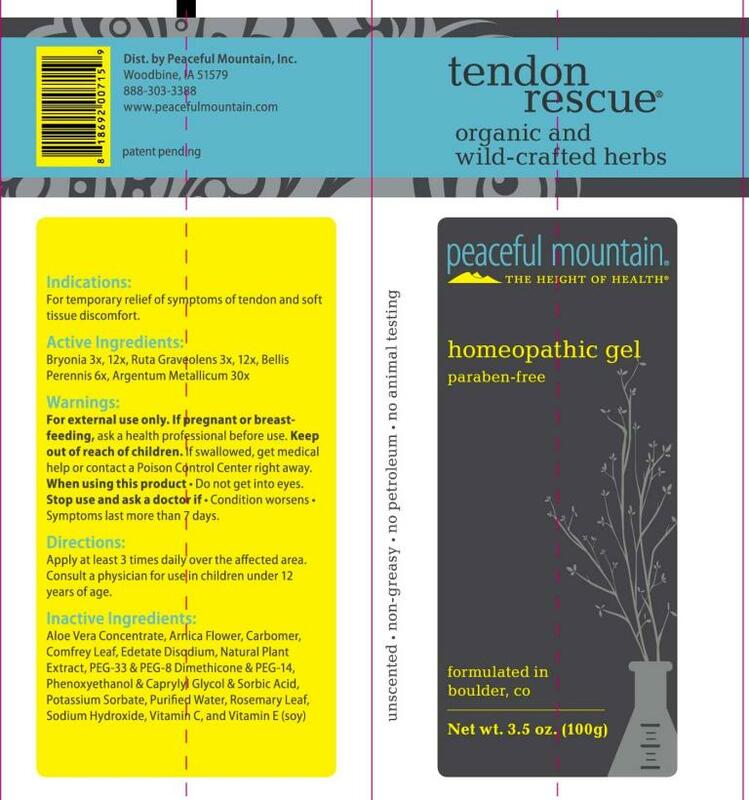 INDICATIONS: For temporary relief of symptoms of tendon and soft tissue discomfort. Stop use and ask a doctor if - Condition worsens - Symptoms last more than 7 days. INACTIVE INGREDIENTS: Aloe vera concentrate, Arnica montana flower, Carbomer, Comfrey leaf, Demineralized water, Edetate disodium, Oregano, Sage, PEG-33, PEG-8, Dimethicone, PEG-14, Phenoxyethanol, Caprylyl glycol, Sorbic Acid, Potassium sorbate, Rosemary leaf, Sodium hydroxide, Vitamin C, Vitamin E oil.